Vice President Mike Pence is standing by President Trump in the wake of Trump’s off-the-rails press conference in he assigned blame to “both sides” for violence at a white supremacist rally in Charlottesville, Virginia over the weekend. “What happened in Charlottesville was a tragedy and the President has been clear on this tragedy and so have I. I spoke at lengths about this heartbreaking situation on Sunday night in Colombia. And I stand by the President and I stand by those words,” Pence said, speaking from Chile on Wednesday. He said he is planning to end his weeklong trip to Latin America early and return to the U.S. Thursday. Pence was originally scheduled to return to the U.S. on Friday. Trump said Tuesday that the “alt-right” and the “alt-left” were to blame for the violence that broke out at a rally in Charlottesville, Va., when a self-proclaimed white supremacist allegedly drove his car into a crowd of counter-protesters and killing one woman named Heather Heyer. 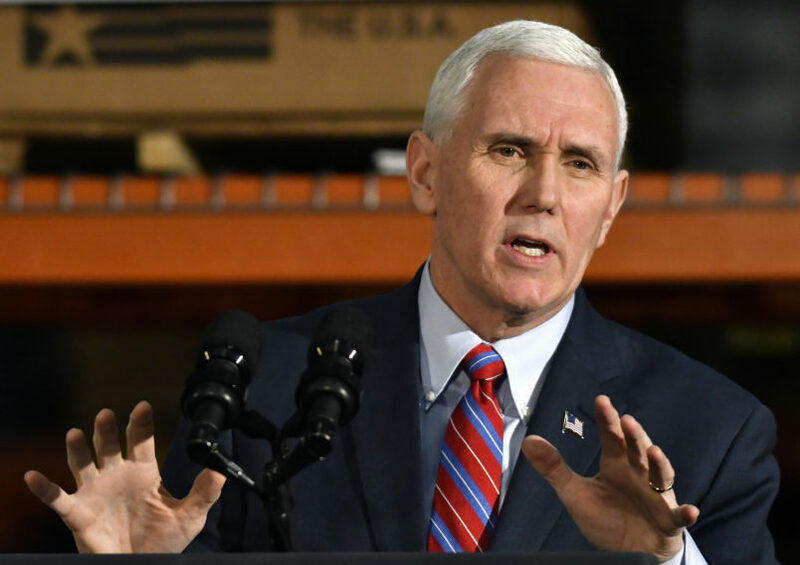 Pence’s comments come after Trump has received widespread criticism — and praise from known white supremacists — for his comments during an unhinged press conference where he seemed to defend white supremacists. “I think there’s blame on both sides,” Trump said Tuesday.